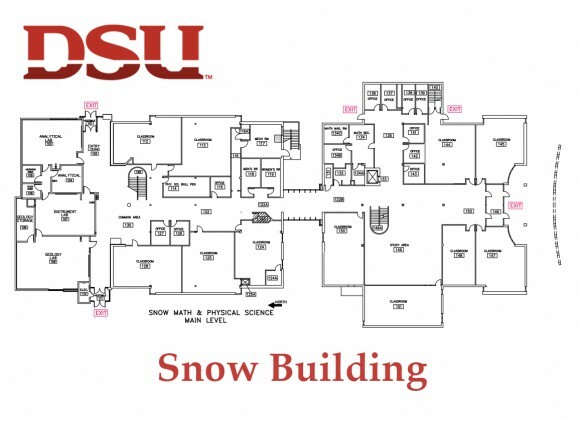 Click here for a link to a map of Dixie State University Campus showing the locations of the Science and Snow Buildings. 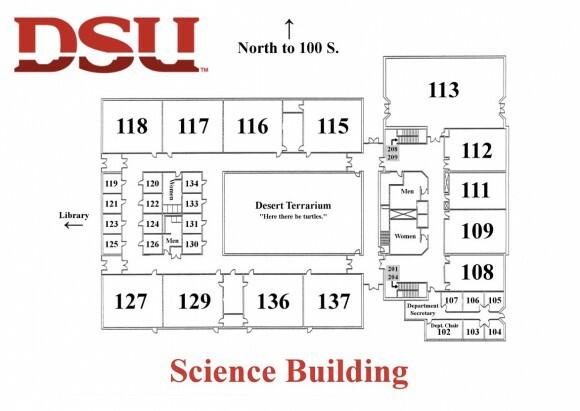 Below are the maps of the Snow and Science buildings with room numbers and floors. Rooms in the Science Building with numbers beginning in 2 (such as 201, 206, etc) are upstairs. 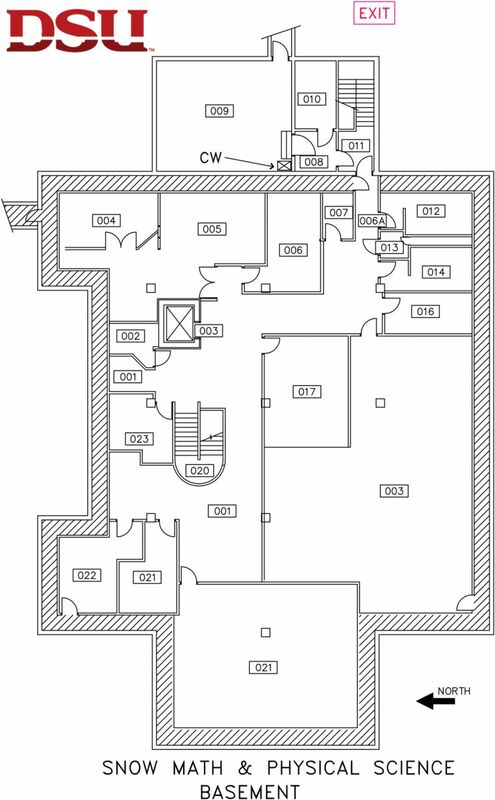 Only the east end of the building has two floors. Go to the stairs shown in the right top and bottom of the map to find these rooms.